Blocks Ransomware, Malware, Phishing Attack Programs and Zero-Day Threats! 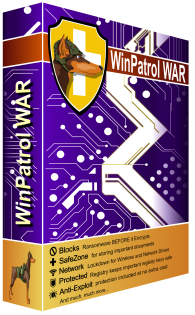 WinAntiRansom uses a combination of Whitelisting, artificial intelligence algorithms and definitions in a layered solution that protects your computer and your data from all known Ransomware and many kinds of Malware and Spyware. Plus gives you the ability to block any program you want from even running. •NET 4.0 Framework or greater required.